War relies entirely on the luck of the draw and involves no strategic elements at all, which makes it a great card game for kids and adults alike. However, these rules include an original variant which introduces thought into an otherwise mindless game. Here's what you need to know to play War. Goal: To win all of the cards. 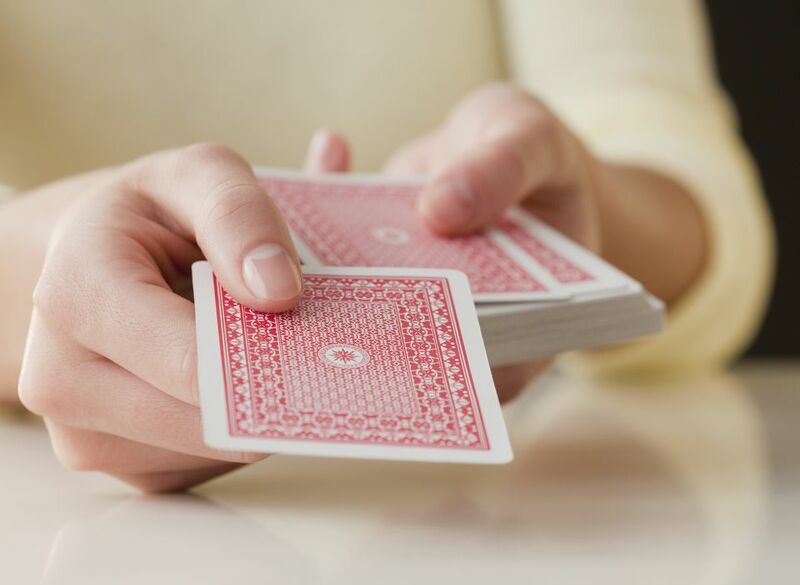 Shuffle the deck and deal the cards so that each player gets 26 cards. Players keep their cards in front of them, face down. In the event of a tie, the players have a "war." Each player places three cards face down in the middle of the table and then turns a fourth card face up. The player with the higher of these cards takes all 10 cards which are now in the middle. If these two cards are also a tie, additional cards are turned face up, one at a time, until one player wins; that player takes the entire set of cards. The first player to win the entire deck of cards is the winner. Alternatively, because winning the entire deck can take a long time, the first player to win three wars is the winner. This simple variant, designed by Erik Arneson, adds some decision-making to the game. After the cards are dealt, each player draws the top three from his pile and holds them in his hand. On each turn, he chooses one card to play and then draws a new card to refresh his hand to three cards. When a tie occurs, each player takes three cards from his face down pile and puts them in the middle, still face down. He then chooses a card from his hand to play as the face-up fourth card. The player who plays the higher card takes all six of the face-down cards plus the two "fourth" cards. The player who plays the lower card takes the two cards which caused the war to take place.